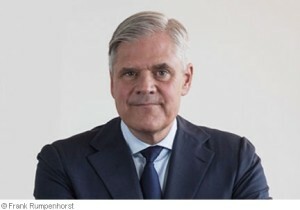 Dr Andreas Dombret is an executive board member of the Deutsche Bundesbank with responsibility for banking and financial supervision. At this dinner he will discuss the German perspective on Brexit with a particular focus on financial stability, the future of supervision and regulation in the EU27, and the prospects for post-Brexit collaboration between the UK and EU27. The audience will be senior executives from across the capital markets industry. Dr Andreas Dombret was born in the USA to German parents. He studied business management at the Westfälische Wilhelms University in Münster and was awarded his PhD by the Friedrich-Alexander University in Erlangen-Nuremberg. From 1987 to 1991, he worked at Deutsche Bank’s Head Office in Frankfurt, from 1992 to 2002 at JP Morgan in Frankfurt and London, from 2002 to 2005 as the Co-Head of Rothschild Germany located in Frankfurt and London, before serving Bank of America as Vice Chairman for Europe and Head for Germany, Austria and Switzerland between 2005 and 2009. Since May 2010, he has been a member of the Executive Board of the Deutsche Bundesbank with responsibility for Banking and Financial Supervision, Markets and the Bundesbank’s Representative Offices abroad. He is also responsible for IMF (Deputy of the Bundesbank), Financial Stability Commission (FSC) (Member), Supervisory Board (SSM) (Member), Basel Committee on Banking Supervision (BCBS) (Member of the Bundesbank) and Bank for International Settlements, Basel (Board of Directors).